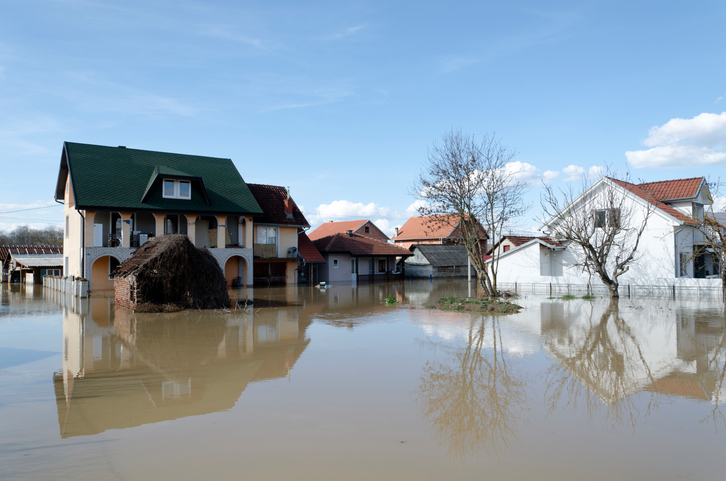 A coalition of housing and financial services trade associations is calling on Congress to support legislation to redefine the role that private flood insurance policies play in regards to the National Flood Insurance Program (NFIP). In a letter to congressional leaders citing their support of the Flood Insurance Market Parity and Modernization Act (S. 563 and H.R. 1422), the trade groups noted the legislation reaffirms the value of private sector flood insurance policies while rectifying the confusion created in the Biggert-Waters Flood Insurance Reform Act of 2012 regarding the definition of "private flood insurance." The trade groups said the language in the Biggert-Waters Act discouraged lenders from accepting private flood insurance policies. "S. 563 and H.R. 1422 may serve as first steps to achieving wider availability of private market flood insurance," the trade groups wrote. "Under current NFIP rules, policyholders can permanently lose access to their current NFIP rates if they leave the NFIP and opted to obtain coverage with a private flood insurance policy. This has created a disincentive for consumers to choose a private policy in lieu of the NFIP and thwarts congressional intent to allow the consumers the choice to seek better or more affordable coverage from a robust private flood insurance market. By clarifying that private coverage satisfies the continuous coverage requirement, S. 563 and H.R. 1422 will help to make these policies a more viable option for consumers."